Ruth passed away Tuesday, September 29, 2015 at her home in Shelbyville. She was born September 28, 1936 in Dorr Township to Charles and Effie Stankey. For over 25 years Ruth was head cook for Plainwell Public Schools until her retirement in 1993. 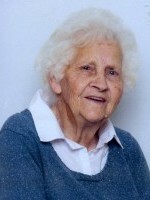 In her spare time she enjoyed gardening, cooking and most of all spending time with her family. 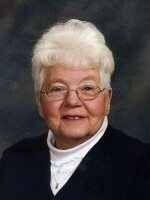 She was an active member of Peace Lutheran Church and served in the Ladies Guild. On October 9, 1954 in Grand Rapids she married James Keith who survives. Also surviving are their children, Janet (Rodney) Kivell, Daniel (Sherry) Keith, Samuel Keith and Sarah (Rev. Stephen) Pope; 7 grandchildren, Ashley Kivell, Bailey Kivell, Heidi (Todd) Campbell, Tonya Keith, Joshua Keith, Andrew (Nicole) Pope and Ian Pope; 8 great-grandchildren and her siblings, Annette Smith and Charlie (DeAnn) Stankey. She was preceded in death by her parents, and siblings, Peter Klunder and Sarah Mauck. Friends may visit with Ruth’s family from 4-8 P.M. Thursday, October 1, 2015 at the Winkel Funeral Home in Otsego. A Funeral Service will be held Friday, October 2, 2015 at 11:00 A.M. at Peace Lutheran Church in Otsego with Pastor Stephen Otto officiating. Following the service a luncheon will be held. Burial will follow at Elmwood Cemetery in Wayland. Contributions in memory of Ruth may be made to Peace Lutheran Church or to Wings of Hope Hospice. Jerry Bowen Sr. passed away Monday, September 28, 2015 at his home in Otsego. He was born September 10, 1949 in Holland, MI to Clinton and Darlene (Emmons) Bowen. 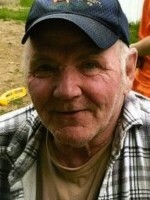 Jerry had worked in his younger years in the onion fields in the area and on a pickle farm and for over 13 years he had worked at Allegan Tubular. In his leisure time he enjoyed hunting, fishing and spending time in the out-of-doors having a beer but more than anything he loved spending time with his family and telling stories. Surviving are his children, Jerry F. Bowen Jr. of Pullman, Melissa Richardson of Otsego and Jason (Bobbi Miller) Bowen of Marienville, PA; 8 grandchildren; 5 great- grandchildren; his siblings, Sharon (Mike) Gruis, Dennis (Bonnie Mercer), Skip (Mary) Bowen, Laura (Jeff) Wooten, Melvin Bowen and Roger Bowen and ex son-in-law Nigel Richardson. He was preceded in death by his parents and a great grandson Joseph. Cremation has taken place and a Memorial Service will be held a later time. Jean passed away Saturday, September 26, 2015 at Rose Arbor Hospice in Kalamazoo. She was born August 26, 1932 in Otsego the daughter of Elmer and Cleora (Frost) Brenner. Jean was a 1950 Otsego High School graduate. For 30 years she was a bookkeeper for Wykstra Oil and in her spare time was a volunteer at the Martin Resource Center. Jean enjoyed making her daily trip to McDonalds to have a cup of coffee and visit with her friends. She also enjoyed spending the winters in Florida. On February 15, 1950 she married David Zwiers who passed away in 1995. Surviving are her daughter, Terri Macak of Otsego; grandchildren, Tracy (Todd) Boekeloo, Terry (Jason) Fiala, Sara (John) Saylor and Katey Fuhrman; great-grandchildren, Logan Crespo, Rachel Boekeloo, Leanna Saylor and another due soon; her sister, Joan Lewis of Allegan and sister-in-law, Marjorie Roe of FL. She was preceded in death by her parents; husband; son, Chris in 1972 and by her son-in-law, Robert Macak earlier this year. Friends may visit with Jean’s family Thursday, October 1, 2015 starting at noon at the Winkel Funeral Home, Otsego where a Funeral Service will be held at 1:00 P.M. with Pastor Joe Shaler officiating. In lieu of flowers contributions in memory of Jean may be made to Hospice Care of Southwest MI. Johanna passed away Saturday, September 12, 2015 at her home in Alamo Township with her daughter by her side. She was the last of seven children born to Reinard and Lucille (Kuiper) Dekker on January 22, 1920 in Grundy Center, Iowa. Johanna was a 1937 graduate of Old Central High School and had worked at Allen Electric during WWII. In 1941 she married Alexander Magierka and together they ran the family’s farm. Johanna was always willing to lend a helping hand. She enjoyed cooking and baking and when not tending to the farm she loved going dancing with her husband. Surviving are her daughter, Pat (James) Dyer of Kalamazoo; 2 grandchildren, Todd McNaughton of CA and Anjela (John) Hindman of OH; great-grandchildren, Jack and Julianne; step-grandchildren, Sandra Dyer and Jenny Bach, along with several nieces and nephews. She was preceded in death by her husband in 2003; siblings, Matt, Al, Bill, Hank, Margaret and Elizabeth and by her step-granddaughter, Kimberly Hewitt. Friends may visit with Johanna’s family from 6-9 PM on Tuesday, September 15, 2015 at the Winkel Funeral Home, Otsego and from 10:00 AM until the time of the Mass of Christian Burial at 11:00 A.M on Wednesday, September 16, 2015 at St. Margaret Catholic Church in Otsego with Rev. Fr. Donald Klingler officiating. Burial will follow at Liberty Street Cemetery in Alamo Township. Contributions in memory of Johanna may be made to Reverence Home Health & Hospice or St. Margaret Catholic Church. Shirley passed away Sunday, September 6, 2015 at Borgess Medical Center in Kalamazoo. She was born on March 27, 1938 in Plainwell, MI to Morris and Audrey (Edson) Stoughton. She married Thomas Campbell on December 17, 1955. Shirley was a 1956 graduate of Otsego High School. As a young lady she loved singing and having friends over for music and dancing. Shirley liked going out to eat and taking trips to the casino. She loved spending time with her grandchildren and her great-grandchildren. Shirley retired from Parker Hannifin in Otsego after over 30 years of employment. Surviving are her children, Dan Campbell of Plainwell, Mike (Judi) Campbell of Battle Creek and Connie Thomson of Otsego; grandchildren, Nicole, Andy and Michelle; great-grandchildren Madison, Carlena and Noah; step-grandchild Zachary (April) Dillinger; siblings, Eva (John) Belden, Morris (Marion) Stoughton Jr, Linda (Ted) Clark and Betty Galloway. She was preceded in death by her parents; husband; and by her brothers, Don and Marv. Friends may visit with Shirley’s family from 6-8 P.M. Thursday, September 10, 2015 at the Winkel Funeral Home, Otsego where a funeral service will be held Friday, September 11, 2015 at 11 A.M. with Celebrant Bill Rose officiating. 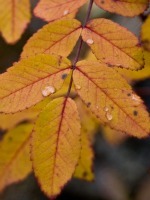 According to her wishes cremation will follow and a private burial will take place at Mountain Home Cemetery in Otsego. Contributions in memory of Shirley may be made to the American Lung Association. Mary Kathleen “Kathie” passed away Thursday, September 4, 2015 at Saint Mary’s Hospital in Grand Rapids. She was born April 7, 1949 in Allegan the daughter of John and Matilda (Wesaw) Shagonaby. 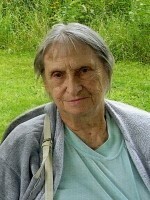 Kathie had been a student at WMU and had also been a home health care worker for many years. She was a member of the Gun Lake Tribe of Potawatomi Indians. Kathie loved animals of all kinds, especially her dog Riley. On October 2, 1981 she married Kurtis Grigsby who survives. Also surviving are her children, Maureen Shagonaby of East Lansing and Codie (Nora) Grigsby of Wyoming; her niece and nephew, John and Jill Shagonaby; sister-in-law, Jane Shagonaby and many cousins. She was preceded in death by her parents and brothers, Douglas and John Shagonaby. Friends may visit with Kathie’s family Tuesday, September 8, 2015 from 4-8 P.M.at the Winkel Funeral Home, Otsego. A graveside service will be held Wednesday, September 9, 2015 at 11:00 A.M. at Oakwood Cemetery in Allegan. Contributions in memory of Kathie may be made to the Allegan County Humane Society. 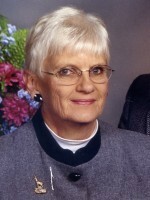 Corrine Anderson of Kalamazoo passed away Thursday, September 3, 2015 in Plainwell. Corrine was born December 17, 1936 in Williams Crossing, MI to Clyde and Alma (Beauchamp) Rock. She received her diploma in 1986 and had worked at the Otsego District Public Library for about 10 years; Kal-Equip/Mitech for about 5 years in the 1970’s and 80’s and had also worked picking grapes and apples. Corrine was a member of the Otsego Church of God and the Red Hat Society. In her leisure time she enjoyed sewing, knitting, crocheting and spending time at her place at Sandy Pines. Surviving are her children, Bruce Newton, Ellen Carpenter and Dean Newton; 6 grandchildren, Paul, Becky, Karen, Andrew, Nicole and Aimee; 3 great grandchildren and her sister, Arlene Newton. She was preceded in death by her husbands, Arthur Newton and Verne Anderson; a son-in-law Steve Carpenter and siblings Inez and Donald. A Memorial Service will be held Friday, September 11, 2015 at 11:00 A.M. at the Otsego Church of God with Pastor Steve Burrow officiating. Contributions in memory of Corrine may be made to the Otsego Church of God or charity of choice.